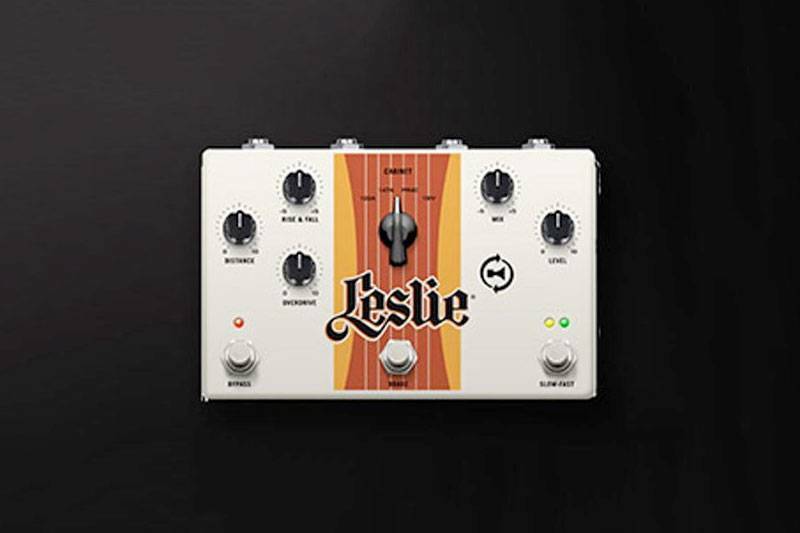 “Hammond Organ USA announces the release at the 2013 Winter NAMM of a series of new Leslie Speakers, and the first-ever Digital Leslie Pedal. Joining the line is the smallest-ever dual-rotor Leslie intended for general applications, The Leslie Studio 12. It is the same size and weight as the popular G37 Guitar Leslie with which it shares a common cabinet. Keyboard players have asked for an ultra-portable Leslie that had a true Leslie Horn and Rotor, and Hammond has delivered their wish. Finally, a bevy of new and vintage finishes come to the traditional Leslie line. The classic Provincial finish returns, as does Cherry. Black, White and distressed finishes are available as well. Like all traditional Leslie cabinets, including the G37 and the new Studio 12, select electronics and woodworks are all hand-built in the USA.